The rain returned with a vengeance to Portland this week, and already I’m missing the sun desperately. Thinking back to our sunny summer trip might get me through the winter! My sister, mom, dad and I arrived in Exuma, Bahamas, a day ahead of everyone else, so we needed a hotel that could put us up for just one before our seven-day stay at Sandals. I was traveling with my sister and my parents, and we wanted a place with two beds that allowed four people. 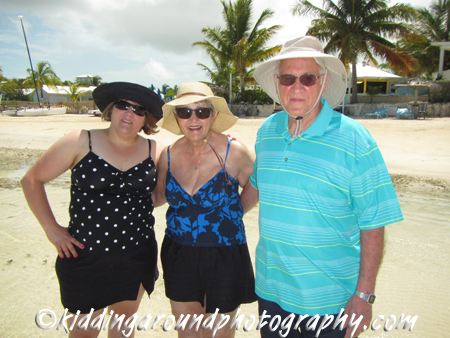 After checking around a little bit we chose Hideaways at Palm Bay. This turned out to be a perfect spot. The hotel is about a 10 minute drive from the airport. It’s right on the beach and each room is a small cottage. Our cottage had a little sitting area with a dining table, a small mini kitchen and a large separate bedroom with two king size beds. It also had a full bath plus a half bath. I think this layout would work well for families with small children. They also have studio and two bedroom cottages, and one and two bedroom villas. There is an on-site restaurant called Splash! Bar and Grill. It’s an open air, screened-in restaurant that looks right out at the water. It has pool tables and TVs and even Xbox available. They serve breakfast, lunch, dinner, and drinks. The breakfast buffet (fruit, juices, coffee, bread, pastries, bagels, yogurt, cereal and hard boiled eggs) is included in your room price. If you are not saying there you can purchase it for $9.00. The hotel is close to town, too, so it’s easy to go elsewhere for meals or sightseeing. You can go for a swim in the ocean right in front of the hotel — the water was incredibly warm — or you can swim or shoot hoops in the refreshing pool. They have a lot of chairs for lounging and a very relaxed atmosphere. If you want to be more active, take out one of the kayaks, pedal boats or stand-up paddle boards. Those are also included in the price of your stay. 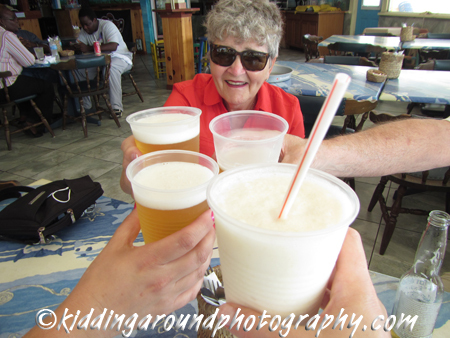 The staff people at the Hideaways — and frankly everyone we met working on Exuma — were super nice. My dad accidentally left his cell phone somewhere, and the staff was very helpful calling both the airport and our taxi driver to try and find it. Luckily, it was in the taxi and Alvin delivered it to us that afternoon! We can’t exactly call The Hideaways a budget option, but it is one of the less expensive places to stay on the island. Because you can do a lot of your own cooking, you can eat much more inexpensively, saving you quite a lot in your travel budget. The included activities also make it more affordable than some other spots. 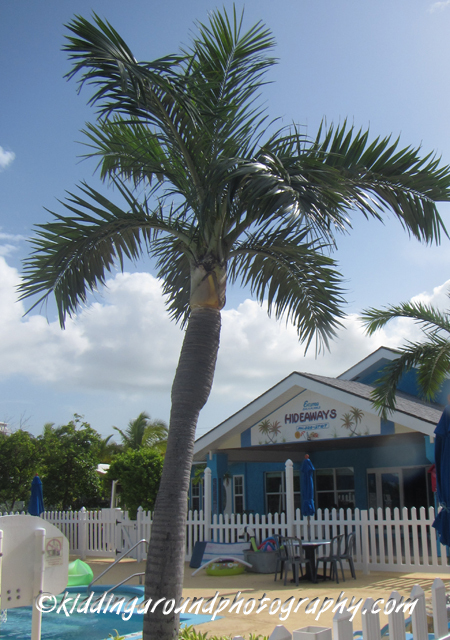 If you’re looking for some sunshine in Exuma, check out The Hideaways at Palm Bay. Sunshine or not, enjoy your week or your weekend! So awesome! Looks like a beautiful place….so glad your mom and dad, Shannon and you got to go on this trip! Have a wonderful time! I need to have Julie contact you..she is looking for someplace to take the family on Spring break and I am sure you would have lots of suggestions!! Donna – definitely have Julie get in touch! We have lots of spring break ideas, from right there in Texas to all over the globe!